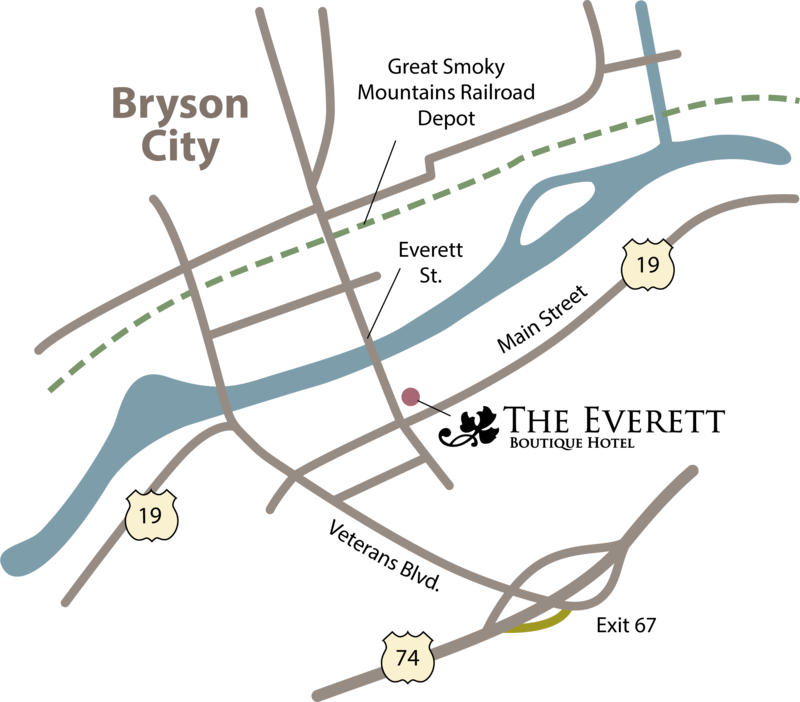 Bryson City is a peaceful mountain town with unique shops, galleries and restaurants. 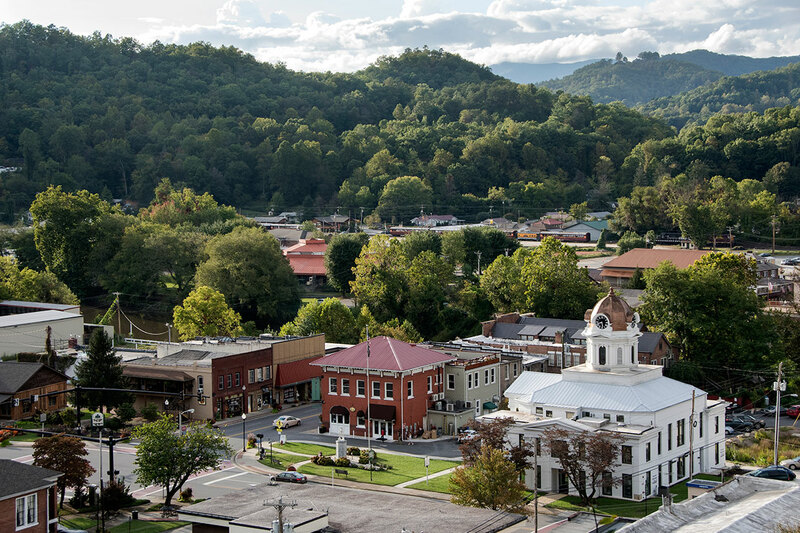 We're located on the southern border of the Great Smoky Mountains National Park in the mountains of Western North Carolina — an hour west of Asheville, just three hours from Atlanta and Charlotte, and two hours from Greenville, Knoxville and Chattanooga. The Everett Hotel overlooks the Town Square at the intersection of Main (US-19) and Everett Streets.